∫ Guest artist Marion Kratky: Micropolis Cooperative Gallery, 30 N. Main St., Gloversville. Work also on display insludes paintings, drawings, photographs, fiber art, batik, mixed media, woodwork, glass, digital art, sculpture, jewelry, and pottery. The gallery, located inside Mohawk Harvest is, open seven days a week from 8 a.m. to 7 p.m. Monday through Friday; from 8 a.m. to 5 p.m. Saturday; and from 9 a.m. to 4 p.m. Sunday. The exhibit will run through the end of October. ∫ Hurricane Relief Benefit: Gloversville Moose 351, State Street, Gloversville, starts at noon. The event includes food, 50-50 raffles, Chinese auction. There will be live music with Aaron Mittler, 1 p.m. (inside); Cleen Street (outside), 1 p.m.; Jim Senese (inside) and Benefit Band (outside) both at 2 p.m.; DJ Sidewinder (inside) and Remedy (outside), both at 3 p.m.; All Fired Up (inside) and Routh-n-Real Band (outside), both at 4 p.m.; Waystintym, 5 p.m. and Vinny Saj Band, 6 p.m., both outside. For more information or to make a donation, call Ed Ozea at (518) 752-6457 or Gloversville Moose Lodge at (518) 725-8558. This is a donation event — the Gloversville Moose asks for help in dontating $5 or more — all proceeds go to One America Appeal at www.oneamericaappeal.org. ∫ Joe and Amanda: Gloversville Farmers Market, Elm Street pavilion, Gloversville, 9 a.m. Free. 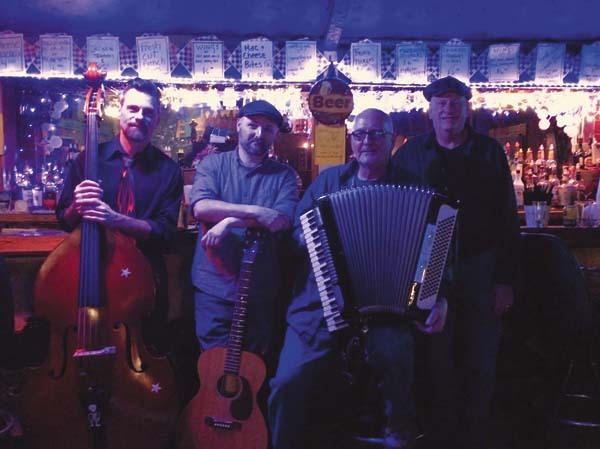 ∫ Linda Lee and the Fox Creek Band: St. Johnsville Marina, 11 a.m. to 2 p.m. The event, part of St. Johnsville Chamber of Commerce’s Erie Canal celebration, includes a pig roast to benefit the Oppenheim-Ephratah-St. Johnsville, class of 2019. Presale tickets are available at the Margaret Reaney Library, Little M and NBT Bank, all in St. Johnsville, or by calling (315) 527-9585. At 2 p.m. will be a ribbon cutting for the new marina laundry and bathhouse. The facility is being dedicated in memoriy of former longtime harbor master, Bernie Brandow. ∫ Author Susannah Risley: Gloversville Library, West Fulton Street, Gloversville, 11 a.m. to 12:30 p.m. Risley will conduct the first of three free workshops on fiction writing. This is an interactive workshop for writers of all levels. The other workshops will be listed in What’s To Do. ∫ Local Historians Samantha Hall-Saladino and Lauren Robers — Ghosts of the Sacandaga: Gloversville Public Library, West Fulton Street, Gloversville, 5:30 p.m.
∫ Mittler and Esposito Derail’d: The Boathouse, 2090 Route 10, Caroga Lake, 7:30 p.m. No cover. ∫ Andi and Our Secret Love Society: Patricia’s, 32 S. Perry St., Johnstown, 9 p.m. No cover. ∫ British Steel a tribute band for Judas Priest with special guest FTA: The Glove Performing Arts Center, 42 N. Main St., Gloversville, 7:30 p.m. Doors open at 6:30 p.m. General admission is $10. To reserve tickets, call (518) 773-8255, Ext. 25 or online at www.glovetheatre.org or purchase tickets at the door. This concert will be a club setting and beer and wine for purchase along with the concessions. ∫ Maddhaus with special guest FM the Band: The Glove Performing Arts Center, 42 N. Main St., Gloversville, 7:30 p.m. Doors open at 6:30 p.m. General admission is $12. To reserve tickets, call (518) 773-8255, Ext. 25 or online at www.glovetheatre.org or purchase tickets at the door. This concert will be a club setting and beer and wine for purchase along with the concessions.